Join us for a rejuvenating and energizing evening of yoga and music! ON YOUR MAT, GET SET, FLOW. hat happens when 2,000 people move, breathe and stretch together? We are united. Together we are one, connected through breath and movement. We enter the class as an individual and we leave as part of a community. Now, that’s a beautiful thing. Come with your tribe to clear your mind, relax your body and recharge. 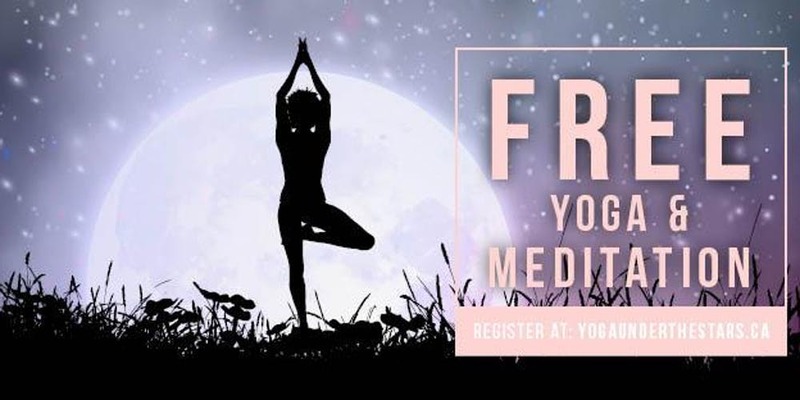 Experience the magic at Yoga Under the Stars. A 75 minute yoga practice, geared to all levels awaits you. Join us, dive deep within and spread positive vibes to uplift your community, your country and the world. Join us for a rejuvenating and energizing evening of yoga combined with invigorating live music. Sign up and become a VIP insider to receive the inside scoop on upcoming events, inspiration and exclusive offers and contests.